Traditional Waldorf Salad | Celery mixed with apples and mandarines. Traditional Waldorf Salad Recipe is made with celery, fresh apples, mandarines, and chopped nuts. Cut the celery knobs into quarters, peel and cook them in boiling water for about 5 minutes. Drain in a colander. Peel the apples, take the core out and cut the apple into quarters. Cut the celery and apples into small strips. 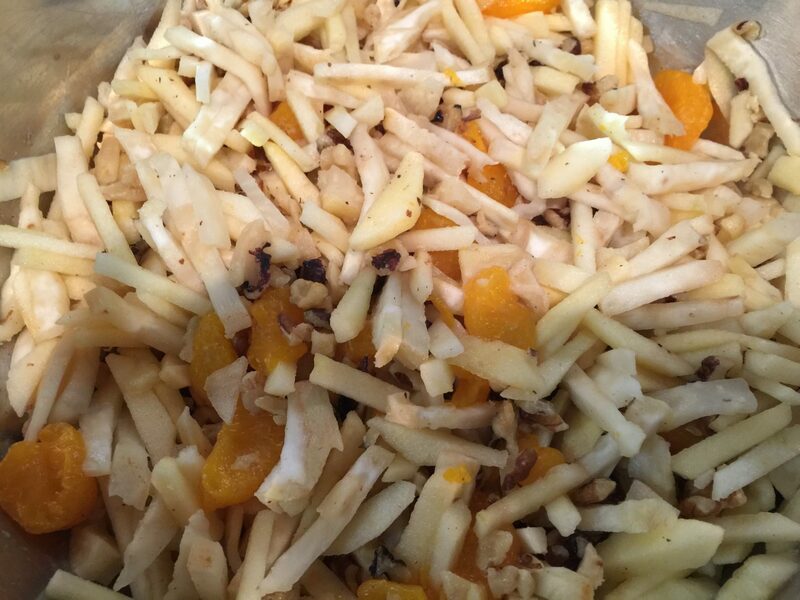 In a large bowl, add celery strips, sliced apples, walnuts, and mandarin oranges. With a baking spatula, carefully mix all the ingredients, mixing from the outside towards the center of the bowl. Mix mayonnaise, fruit juice, lemon juice, salt, and sugar with a whisk until smooth. 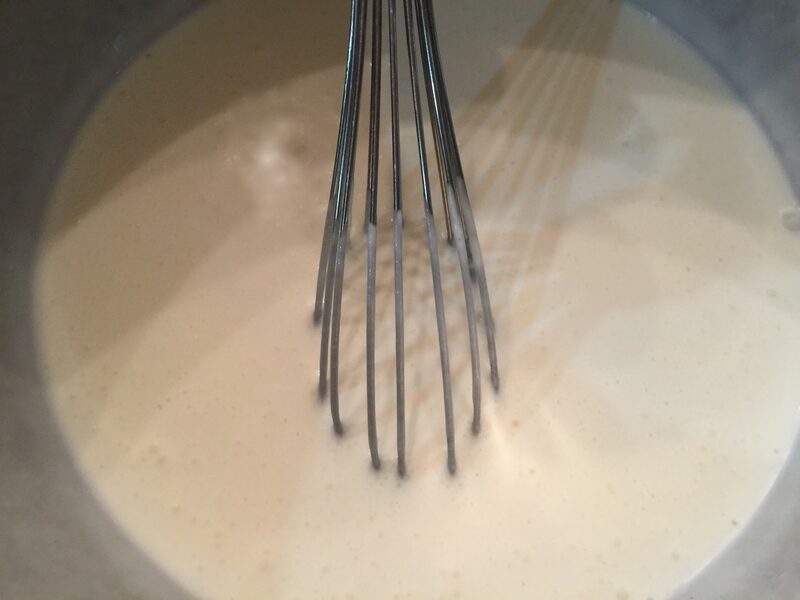 In a separate bowl, use a handheld electric mixer to mix the whipping cream until stiff. The whipped cream should not be as stiff as if you were serving it as part of a dessert. Add the whipped cream to the mayonnaise mix and beat with a whisk until creamy. Pour the creamy dressing over the celery, nuts, and fruit. Mix using either two spoons or salad hands. Place the Waldorf Salad in the refrigerator for at least an hour prior to serving. This salad is a favorite for parties and very often served at Mardi Gras Parties in Germany. Note: I prefer the salad when it has had a chance to rest in the refrigerator about a day or overnight.